As a mom, I’m always on the lookout for new ways to keep my kids’ things organized. If I can do it without having to resort to plain, unattractive, or uninspired solutions, even better! 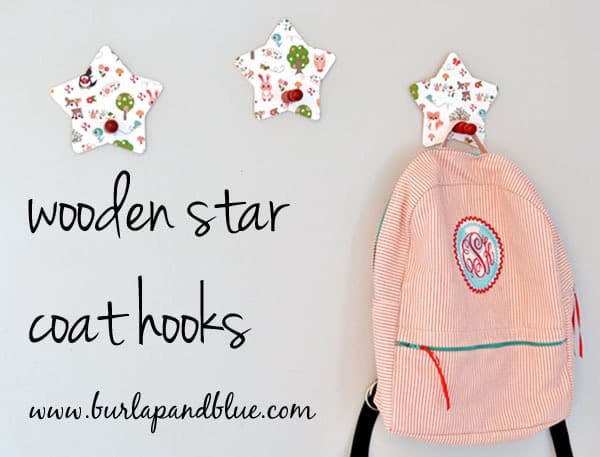 These inexpensive coat hooks are easy to create, and are a darling way to corral your little one’s many things. 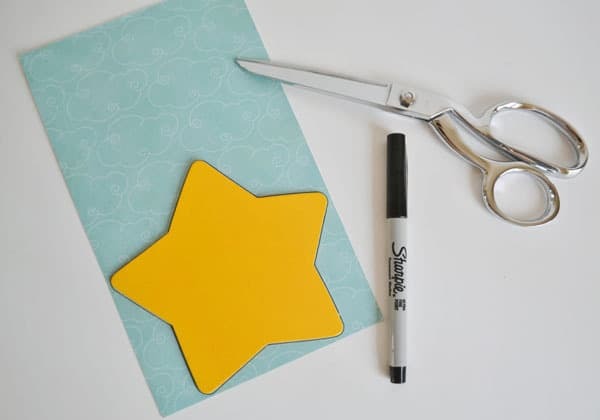 Step 1: First, trace your shapes onto your scrapbook paper and cut out. I found these wooden stars at Michaels for about a dollar, but any shape will do! Step 2: As you can see from the picture below, I used a little bit of white craft paint to cover the perimeter of my stars in case my scrapbook paper didn’t fully cover each shape. 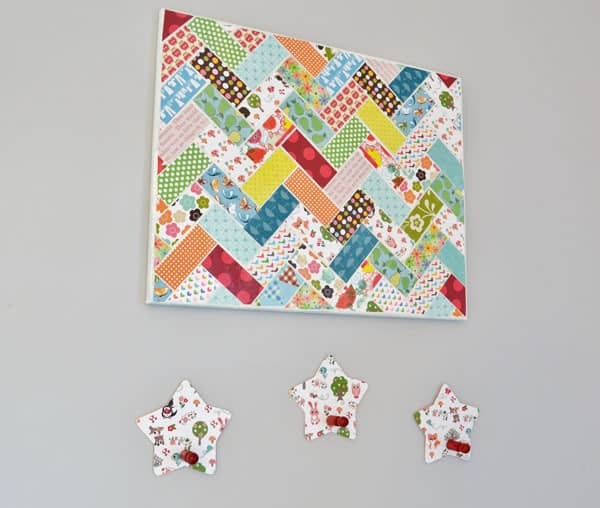 Use your Mod Podge to adhere each scrapbook paper star to each wooden star. 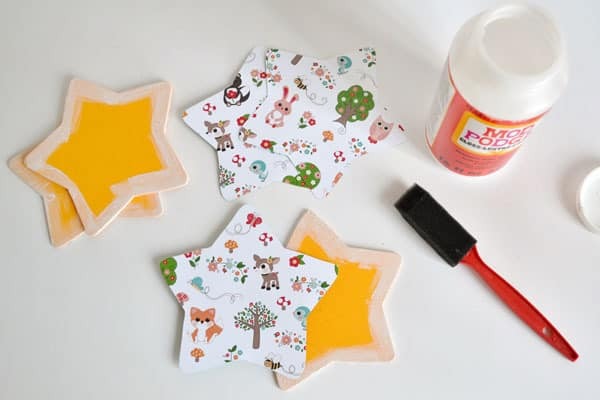 Let dry completely, and add two (or more) coats of Mod Podge, letting the star dry completely in between coats. Step 3: Spray paint (if desired) your wooden pegs. Craft paint would work well here, too. Once dry, adhere to each star using hot glue. 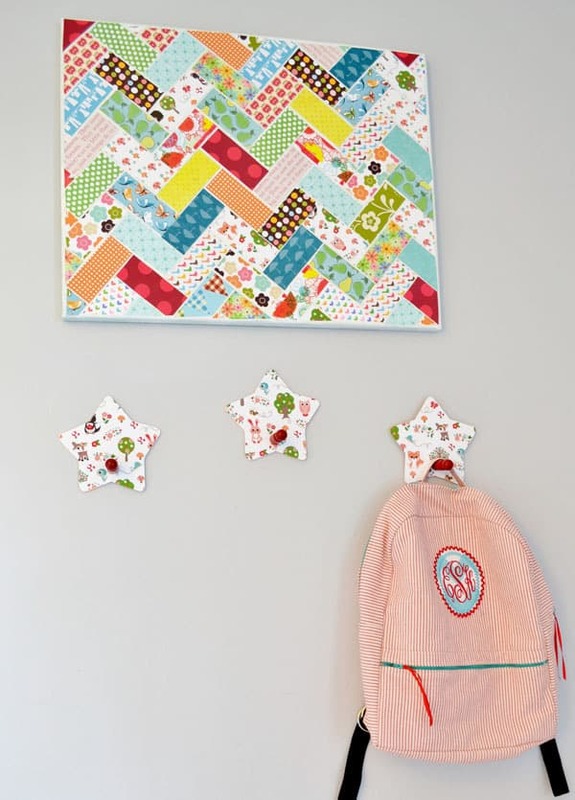 Step 4: Hang stars using picture hangers or foam tape. Cute, right?! 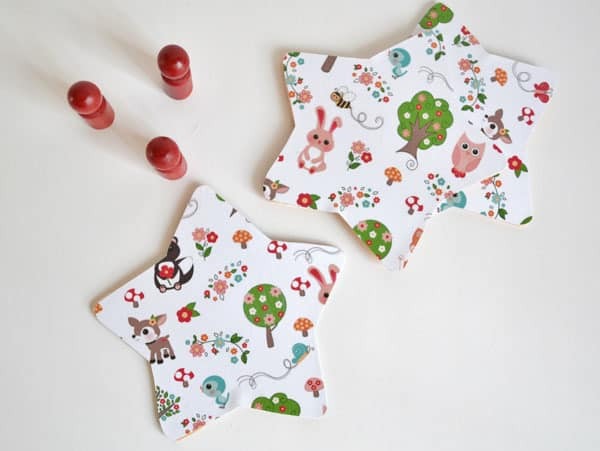 I love how these turned out and especially love that they can be customized to your style and your kids’ personalities just by choosing different shapes and scrapbook paper!